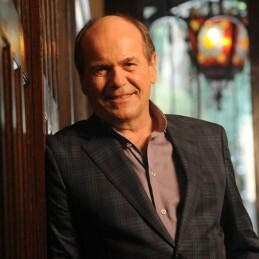 Glenn Shorrock’s story, when it is finally told, will have the ingredients of an epic. It’s one of ambition, global stardom, longevity and battles. Shorrock is back with his first album of new material in 16 years, “Rise Again”. And he’s got stories to tell. Shorrock, the founding frontman of The Twilights, Axiom and ‘70s hitmakers Little River Band (later known as LRB) carved out astonishing success around the globe and in particular the U.S., where LRB shifted the bulk of its 25 million-plus career album sales. The living legend has the unusual distinction of having been inducted into the ARIA Hall of Fame on two occasions, both as a member of LRB, and as a solo artist. The veteran singer isn’t caught reminiscing on “Rise Again,” a collection of new songs from different writers. It’s a textured reflection of a mature, evolving artist who has enjoyed the rare sight from the summit of showbiz, and knows all too well the struggle that invariably comes with it. Shorrock taps into this struggle, and finds new energy. It’s no secret Shorrock and his longtime bandmates Beeb Birtles and Graeham Goblehave been embroiled in a drawn-out fight over the LRB name (the trio co-founded Little River Band 40 years ago and have performed as Birtles Shorrock Goble). Every escalation in the war-of-words becomes headline material for news titles around the globe. Shorrock is battle-hardened from the experience, but never battle-weary. He went to the well and turned the fight into song. The struggle is upfront from the opening track “Hear My Voice”, which features the ear-catching line, “I don’t care who is right or wrong/you’ve got my name/ I’ve still got my song/ I don’t care what you might call me/Hear my voice and you will know me”. More than 12 months in the making, “Rise Again” explores Americana, folk and rock with hues of funk and swing. A brassy rebooted cover of New Zealand great Dave Dobbin’s classic “Slice of Heaven” also makes the cut. Many millions, however, have been romanced by Shorrock’s lyrics. With Shorrock at the helm, LRB’s “Reminiscing” vaulted to No. 3 hit on the Billboard Hot 100, the United States’ official singles chart. “Reminiscing” is one of six U.S. Top 10 hits for the band, and 10 to crack the Top 20. The album “First Under The Wire” cracked the U.S. Billboard 200 albums chart and spawned the Top 10 hits, “Lonesome Loser” and “Cool Change”.